A year ago this weekend, someone raised their hand in a NECRWA conference panel to tell us about her upcoming book. It was about a female domme who “spanked the hell” out of her submissive vampire. Immediately, I knew I had to make friends with this author. Mission accomplished. That author is Mina Vaughn, and the book How to Discipline Your Vampire. Mina and her Domme-Nation series are back and the only way she could get closer to my heart was if she wrote about rock stars. 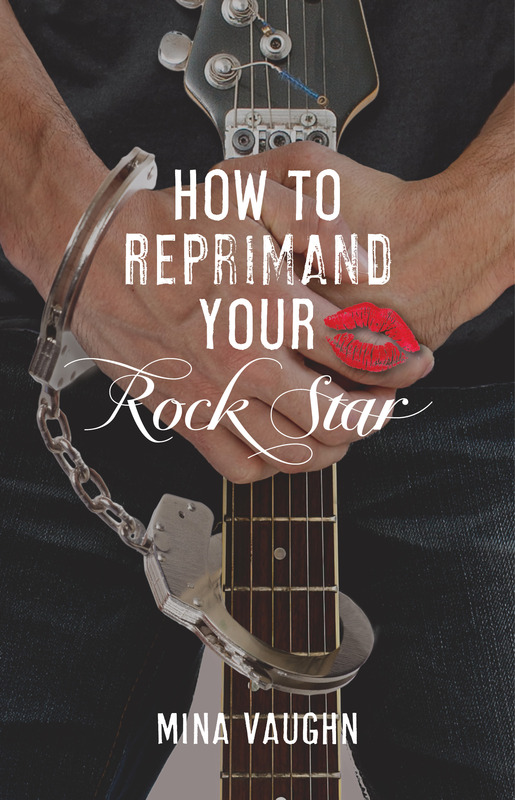 Without further ado, I give you the cover for HOW TO REPRIMAND YOUR ROCK STAR. Release date is July 21, 2014. You can, and of course should, add it to your Goodreads TBR right this very minute.